As a runner, Everett Carson wasn’t happy with the minimalist shoes on the market. He invested half-a-million dollars to start manufacturing his own line here in the United States. What does it take to start a shoe company in the United States? For Everett Carson, before he could begin operations, he had to import specialized equipment from overseas and recruit a master cobbler – a skill few people in America possess. He had to design the shoes and find source materials. As you can see, Carson did not take the trodden path. Carson Footwear shoes look different and are made differently, including with a polyurethane sole, mesh upper, and a neoprene tongue. All materials, except some TPU used on the heel cap, toecap and logo base, are sourced domestically. The brand has seven models, ranging from $120 to $150. 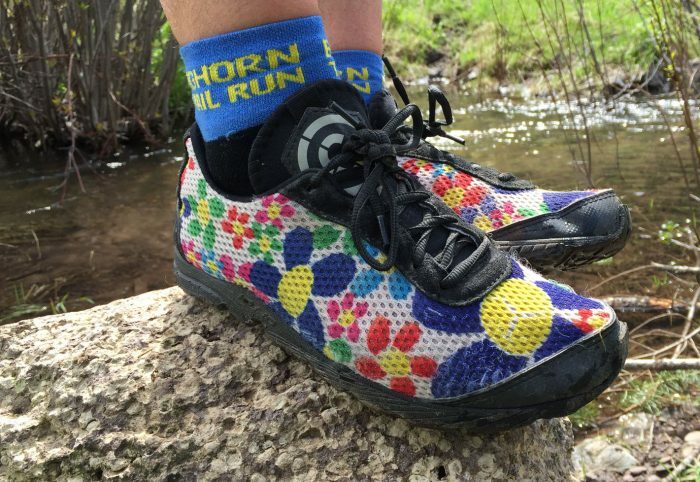 Don’t let the clown-shoe aesthetic confuse, this footwear is made for serious runners. “The polyurethane is really the secret to the shoe,” Carson said. 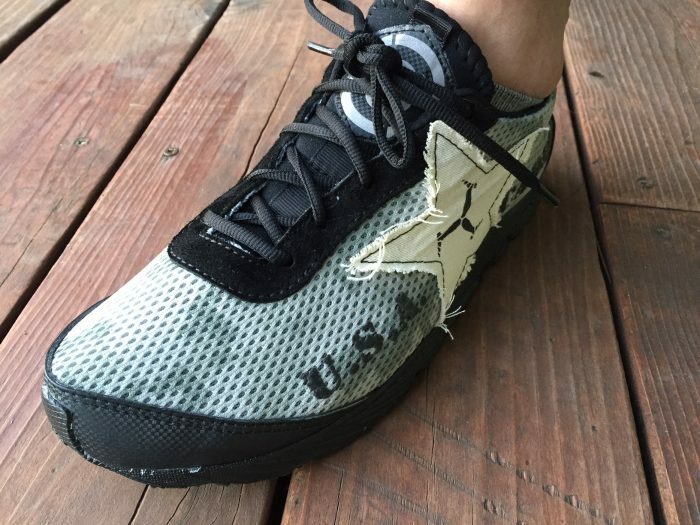 It provides more cushion and protection with less material, he added, and it also offers good “ground feedback,” which minimalist runners love. I’ve been testing a pair of Carson Footwear shoes for close to a year. 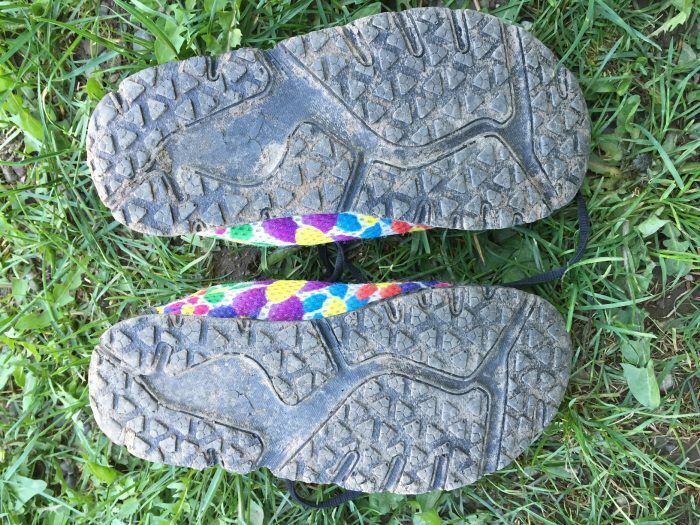 In that time, I’ve used the Crazy Daisy’s ($120) to run hundreds of miles on dirt, snow, gravel, pavement, and even sand on a Costa Rican beach. I’ve also used them for gym workouts. The shoe does absorb a surprising amount of shock for how thin and flexible the sole is, and they’re the most comfortable shoe I’ve ever put on my feet. A friend of mine accurately describes them as slippers. I love how well Carson Footwear shoes mimic barefoot running. They provide ample room for my toes to splay out and grip the ground while still providing coverage against the elements. And, when using them, I’m much more aware of my running form and foot placement. The tread on Carson Footwear shoes has more grip than I expected. I was able to use them throughout the winter, running on icy roads. Even after hundreds of miles, the tread shows minimal wear and tear. Because both the midsole and outsole are made of polyurethane, you don’t have to worry about them delaminating. Durability? After hundreds of miles the mesh upper has started to pull away from the sole where the foot bends as it strikes the ground. It has not yet turned into a hole, but it is the first place the shoe seems to be breaking down. The mesh upper makes them extremely breathable. The downside is that my feet slosh around more, with little in the way of structural support or lateral stability. These shoes fall squarely into the minimalist category. After a couple of hours of running my feet start to feel pounded. 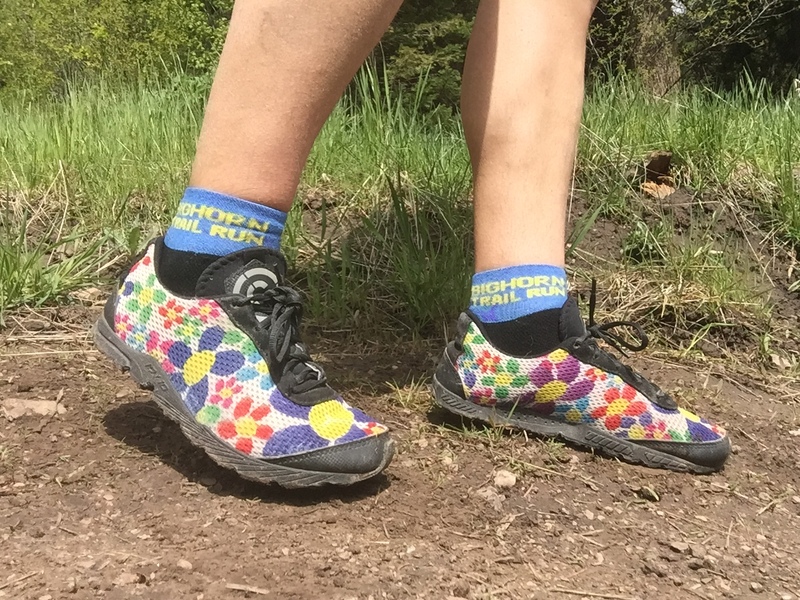 If I’m headed into rocky, rooted mountain terrain, I now find myself reaching for my Topo Athletic MT shoes instead. I recommend starting slowly with a pair of Carson shoes, especially if you’re accustomed to normal running shoes. It takes time for the body to adapt to barefoot-style running. Learn more, or buy now, at Garage Grown Gear. –Amy Hatch is the founder of Garage Grown Gear, an online magazine and store helping you discover innovative and cool outdoor gear startups. Carson Footwear is one of more than 50 early stage brands sold through the site.